The title says it all. This week there was another death. Another life. Another accusation. Another investigation. Another mob. Another riot. Another car burned. Another city shutdown. Another curfew. Another iconic picture with police officers and civilians. Another hashtag. Another media frenzy. Another crying mother. Another stain in this chapter of humanity. 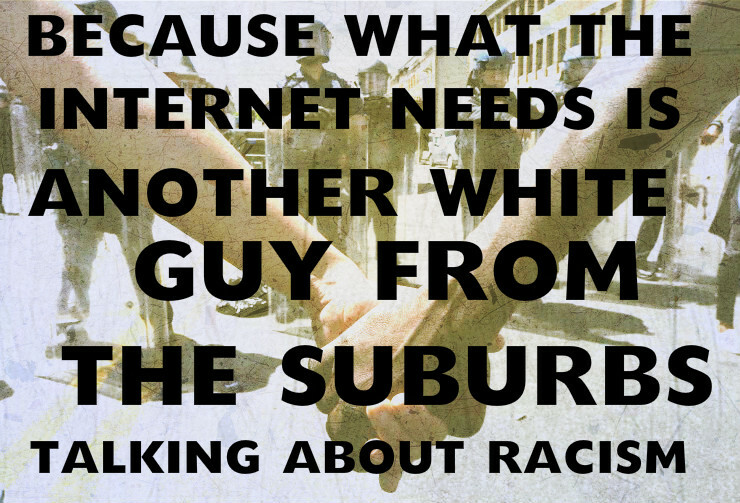 And, of course, another white guy talking about how race problems should be handled. Which is my way of saying that there’s no need, no want, no desire, no necessity, no justification, no reason for me to speak regarding this issue. Social media doesn’t need more noise. The internet doesn’t need another status update and another hashtag. So I can’t (shouldn’t) speak. I can ask. And I can listen. Not judging. Not diagnosing. Not fixing. Because maybe riots are lawsuits from people who can’t find a lawyer. Be that because of prejudice, poverty or pride. Maybe riots are proclamations from people who have no microphone. So they have to yell. And scream. And destroy. Just for the chance to be heard. It just means I should listen. Maybe, just maybe, the road to recovering, mending, healing … maybe that begins with listening. Listening to people who obviously want and need to be heard. … just know, that I want to listen. Because we don’t need more yelling, noise, shouting, talking or speaking. 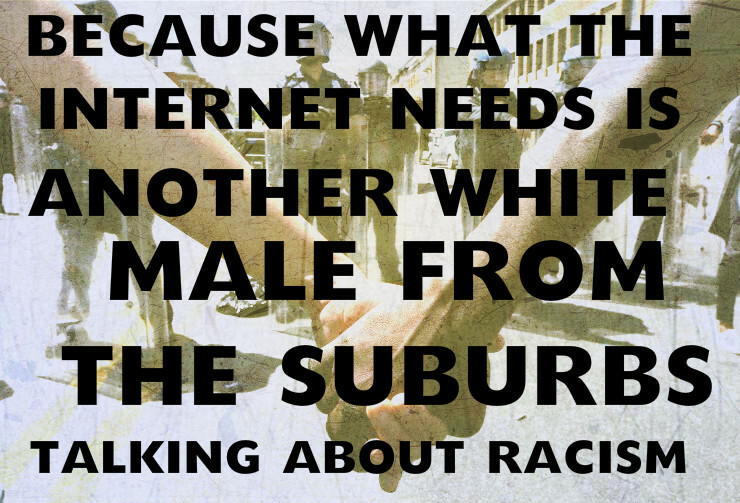 And we definitely don’t need another suburban, white male talking about solutions to the systematic injustice that is as foreign to him as anything could be. So I won’t. But I’ll listen. I’m here. If you want.